Experience the world’s leading creative currency that’s driving design for a better world with Design Indaba’s iconic annual conference. The first three confirmed speakers of the substantial 2018 panel include celebrated and prolific spatial designer Morag Myerscough who most recently reimagined the interior of the Bernie Grant Arts Centre cafe in London. Dutch landscape architect Peter Veenstra, co-founder of LOLA Architects, created the Adidas Campus headquarters in Germany and is bringing his structural genius to the Design Indaba stage. The third confirmed speaker is Cannes Lions award-winning filmmaker Sunu Gonera who hails from Zimbabwe and whose work tells authentic African stories, as seen in the music video he created for Khuli Chana. 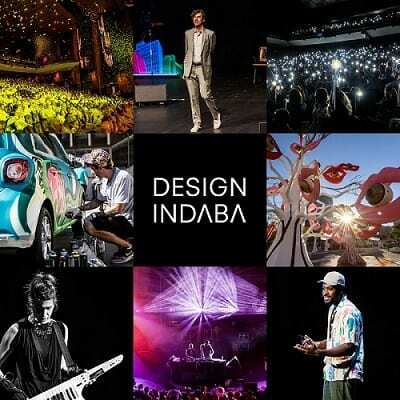 Taking place in conjunction with the world-renowned Design Indaba Conference, the annual Design Indaba Festival 2018 will run from 21 – 24 February 2018 at the Artscape Theatre Centre in Cape Town. An experiential wonderland of live music, films, Chefs Table dinners, performances and exhibitions, the Design Indaba Festival encompasses the Design Indaba’s longstanding annual Film Festival, Nightscapes Music Festival, and exhibitions such as the Most Beautiful Object in South Africa (MBOISA) and the Emerging Creatives Programme. New to the festival in 2018 are pop-up restaurants featuring renowned Chefs and stand-alone performances by headline acts. The Design Indaba Conference and Festival 2018 will take place at the Artscape Theatre Complex in Cape Town. Simulcast versions of the conference will take place in Johannesburg, Durban, and Potchefstroom. Stay tuned to the Design Indaba Facebook page for updates on other venues as they are released. Tickets are available from Webtickets and can be booked as 1-day, 2-day or 3-day packages.